In the pages of West Coast Maine Magazine you’ll find the pictures and stories of those people who live and do business here every day, and are proud to call West Coast Maine their home. We’ve put together a great group of local and talented individuals who are helping to tell those stories. Donna Anderson is the executive director of the McLaughlin Garden & Homestead in South Paris. She has been a museum professional for 30 years, working with art, history, natural history, and science institutions in New York, New Jersey, and Pennsylvania. Before moving to Maine in January 2015, she was the coordinator of the Yager Museum of Art & Culture at Hartwick College, where she taught museum studies. 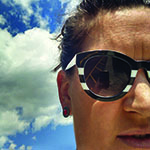 She now lives in Harrison with her husband, a graphic designer and photographer. Adelyn Bell is a graduate of Goddard College in Plainfield, Vermont, where she concentrated her studies on creativity and well-being. She is an avid musician, dancer, and writer, and has performed in various productions throughout the state. Coming up, she will be reading some of her poetry at the Whitehall in Camden in the first evening of a new live poetry series, beginning on May 17th. She loves dessert, summer in Maine, and spending time with her husband and two daughters, Isana and Constanze. James Bell is a graduate of the New England Culinary Institute in Montpelier, Vermont, and has served as chef at such esteemed restaurants as The Cafe at Pat’s, and Ri Ra in Portland, Maine, and The Hearth and Candle in Jeffersonville, Vermont. Currently, he is the Campus Director of Resident Dining at Avita of Stroudwater, and Stroudwater Lodge in Westbrook, and is committed to providing residents and families with nutritious, scratch prepared meals that foster wellness and community. He resides in New Gloucester with his wife and two daughters, Isana and Constanze. 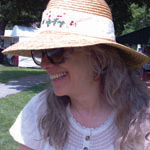 Kim Hamlin is a fiber artist, designer and dancer living in Western Maine. She knits, crochets, spins, sews, quilts, needle felts, weaves, gardens, dances, thinks and dreams, and tries to do at least three of these on a daily basis. Kim co-owns Fiber & Vine, a spacious and creative fiber shop that also specializes in wine, located on Main Street in Norway. 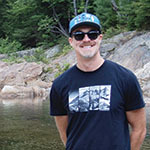 Clay Harvey is the Marketing & Sales Director for Mt Abram Ski Area and has dedicated his career to working in the outdoor recreation industry the past 17 years. 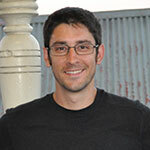 Clay enjoys snowboarding, mountain biking, camping, hiking and spending time with his family. Harvey earned his bachelor’s degree in outdoor education/adventure recreation and master’s degree in management at Ohio University. This proud Bobcat has roamed from coast to coast in search of the American Dream and is finally home in Paris, Maine. Sarah Carter-Hill grew up in western Maine, and is proud to call this neck of the woods her home. She lives with her husband, Jesse, and two children, Fern and Gus, on the family farm on which she was raised. She spends her days playing in the dirt (some call it farming), knitting, skiing, baking and reading to her children. Photo by Emily Delemater. Ron Fournier is the Director of the Bryant Pond 4-H Camp and Learning Center. 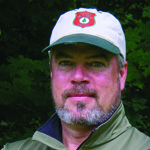 He serves as Maine’s 4-H Shooting Sports Coordinator, overseeing the states 4-H Shooting Sports clubs and activities. 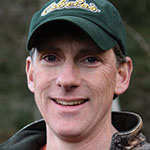 Ron is also a Master Maine Guide operating a guide service that focuses on hunting, fishing and family recreation in Western Maine. Judith Hayes worked over twenty years in broadcast journalism and spent sixteen years as a book and magazine editor. Photography has always been a part of her writing, and she currently writes travel articles for magazines, as well as for online travel and photography blogs. She grew up in Maine and finds it to be a never-ending source of inspiration for her writing. Kelsey Goldsmith is a lover of old barns, the Fryeburg Fair, and Mount Mica, all of which can be found in her native Oxford County, Maine. These days, though, she ventures this way only for day trips and funerals (and to celebrate Thanksgiving! ), as she lives in the Portland area with her husband, Garrett (originally of Lovell), and their two daughters, Rosemary and Millicent. 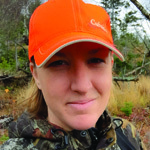 Emily MacCabe is an Outdoor Educator at the Maine Department of Inland Fisheries & Wildlife. 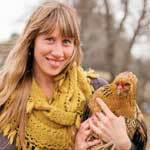 Emily grew up in Rockport, Maine, and went on to study Environmental Science at Unity College. She enjoys spending time outdoors, and strives to provide opportunity and inspiration for others to join her. She now lives in Wilton with her husband and two black labs. 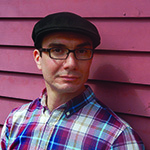 Scott Maier is a jeweler and freelance writer specializing in gems from Maine, Tasmania, Australia, and Nepal. Scott has previously contributed to newspapers in New York, Rhode Island and Massachusetts, as well as to Rock and Gem magazine, and is now working at Creaser Jewelers in South Paris. 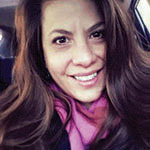 Victoria Mares is a lifetime writer, journalist and playwright, as well as an artist in fiber and mixed media. She is also a musician, playing the violin since 4th grade. She has worked and lived in Maine for over 30 years. She is a graduate of Michigan State University in political science, with a certificate in electronic journalism from Columbia Graduate School of Journalism. 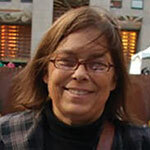 She has written and reported for New York news media, as well as in Maine. Writing, making art, exploring life and places in her “hometown of Western Maine,” and spending time with her family are interwoven into her everyday life. 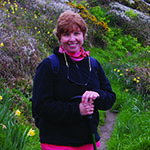 Writing about Western Maine is a favorite subject of Aranka Matolcsy. Born and raised in the Oxford Hills, she spent 20 years traveling and living in different regions across the country to return home with the realization that this region is truly one of the best places on earth to live and raise children. Aside from writing and working to promote the arts, Aranka spends most of her time with her young son Colby, raising chickens and tending vegetable and flower gardens. 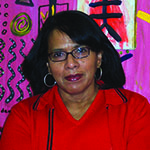 Lisa Moore of Harrison has been a professional writer and teacher for more than 35 years. 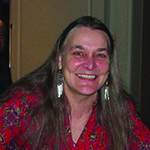 She is an accomplished poet who leads the Mountain Poets Society every month, and has self-published six collections of her own poems. Moore is President of the Board of Directors of Fare Share Co-op. She shares life with two sons, two dogs, two cats, and a scientist, and loves living in western Maine. 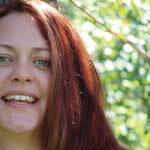 Rijah Newel is a multi-talented artist and Licensed Massage Therapist, who lives and works in Norway. Rijah received a BA in Liberal Arts from Goddard College, with a special interest in dance as a healing art, and performance for social change. You can find her frolicking around in giant theatrical puppets, dancing under a full moon, riding with gypsies in a cardboard car, or juggling the life of a performance artist, writer, mother, dancer, painter, body worker and so much more! Rijah is multi-faceted, and most enjoys dancing on the edge, and exploring the possibilities of magic. 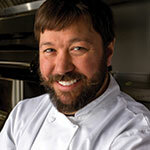 Currently an instructor in Culinary Arts, Erik Person has been in the restaurant industry since he was fourteen. After graduating from the University of Maine, Orono, he followed his lovely wife, Jessica Carter Person, to the Oxford Hills where he helped remodel, designed the kitchen, and influenced the menu and dining experience at Cafe Nomad. His other passions include snowboarding, cycling and growing an awesome mustache. Photo by Brewster Burns. 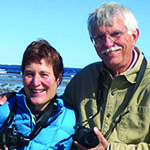 Drew and Margaret Lindsey Sanborn recently retired to Bridgton from the academic worlds of New England liberal arts colleges. Now they joyfully spend their time photographing, writing, weaving, drawing, and enjoying the arts of all kinds. They are looking forward to attending as many summer performing arts experiences as possible. 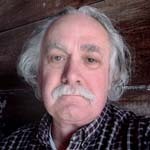 David Sanderson writing draws mostly from his interest in local history, and includes a series of biographies done as part of the Norway Arts Festival and articles for local publications. He lives in Waterford at the 1854 Sanderson family homestead, where he is retired but fully employed with various preoccupations, including history,fiddle music, writing and performing occasionally as Civil War humorist Artemus Ward. Brendan Schauffler is a curious guy. He’s also interested in many things, including the history of expressions and customs, martial arts, breakdancing, marine biology and trying new foods. He lives in Norway with one exotic Canadian wife, two children, and three irksome cats. He counts DJing, hiking and reading stories to his kids as some of his many passions. 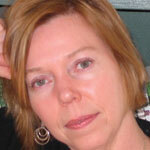 A.M. Sheehan is a journalist, newspaper editor and former theater teacher, currently living in Norway. 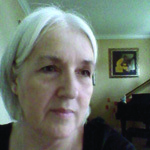 Toni Seger has been a professional writer for over four decades and is the author of the Telefax Trilogy, available at Amazon. 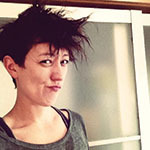 An award winning film maker, her plays have been produced in New York City, London and Maine. 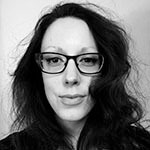 Deborah Sutton is a communications consultant and freelance writer who has worked extensively with non-profit arts and music groups. Born and raised in Toronto, she lived in Montreal for a decade, and has called Kingfield home for the past 17 years. She lives there with her son, two dogs and two cats. An active volunteer in the community, she is a passionate supporter of music and the arts, champions local musical traditions, and promotes young people’s involvement with music. 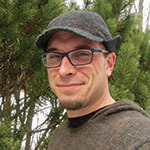 Scott Vlaun is a writer, photographer, and permaculture designer. His photography has recently been featured in two major publications: The Organic Seed Grower, and The Seed Garden. 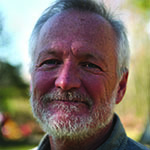 As the Executive Director of the Center for an Ecology Based Economy in Norway, he has recently shifted his focus from documenting the organic seed and agriculture movement to raising awareness about climate change and resource depletion, and engaging his local community in developing practical, ecological solutions to the challenges ahead. Scott lives in Otisfield were he enjoys growing and sharing food with his family and friends.